Spirit: Cyber Samuri of the Wind, Sekka. Personality: Rachael is a person who has trouble trusting others. She is always on her toes, watching people's actions and movements. Rachael can easily see the good and the bad about people. This is due to her high perceptive skills, being able to analyze people very well. On a normal basis she is quiet, but caring as well. Being honest and loyal are her best qualities, however only if she is fighting for the right cause. Rachael is the first one to offer help to those who need it, offering to support them in any way they can. Rachael treats people as kind as she can. She likes to treat others like she would like to be treated. Even if people are rude to her, she stays calm in almost every situation. Rachael holds her friends deepest to her heart, and strides to make sure none of them fail. She will stop at nothing to make sure her friends achieve there goals...even if it means sacrificing her own in the process. Many people compare her to a knight. This is due to her loyalty, compassion, honesty, kindness, and intelligence on and off the battlefield. Likes: Weaponry: She loves swords and guns. One of her hobbies include cleaning weaponry. Rachael knows about most weapons. Food: Rachael loves to try foods from different regions, even if they are extremelly disgusting. Dishonesty: Rachael dislikes when people lie to her. She believes everyone should be as honest as possible. Torture: She believes torture is not the answer and would prefer to kill the opponent rather than let them suffer. Phobias: Rachael has a fear of fire. This is due to watching her home burn down due to a random fire that was created by an unknown being. She hates being around it and will attempt to stay away from it as much as possible. Aspirations: Her main goal is to avenge her friends who were killed in battle. Most of her friends being killed in action, Rachael wants to find those who killed her friends and make them pay for there sins. Her other goal is to help others obtain peace so she can obtain peace for herself. Special Traits: Her eyes glow sometimes when she is in battle. Rachael does not know why this happens however. Appearance: Rachael is a medium-heighted girl with long dark blue hair. She is cute and people judge her due to her looks. 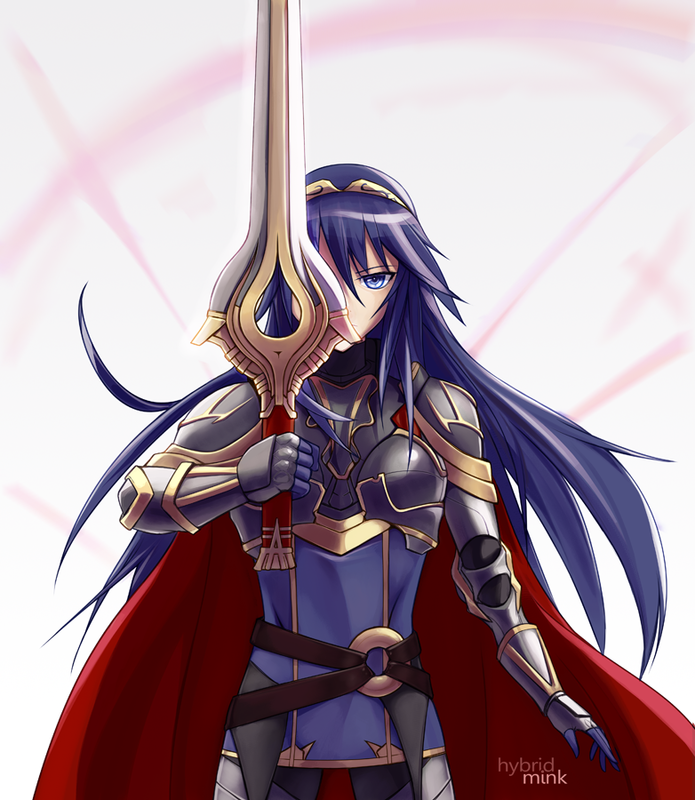 When walking in public or in battle, she wears armor. Her armor is light enough to allow her to use her sword techniques in battle, but also is enough to protect her from light-medium attacks. In private or hanging around friends she dresses much more casual. Usually in a T-Shirt and Jeans. Her body language is casual but in battle she uses a hidden sword stance passed down from her family. History: Rachael was born into a family that was middle-classed. She lived a moderately decent life. Her mother was a housewife and her father was away at work constantly. Whenever he was home, he would teach her how to use a sword. When Rachael was 8, her parents were killed in a fire. The fire was lit by someone, however nobody could figure out whom or why. For two years, Rachael struggled to live, having to teach herself how to survive by herself. When she reached 14, she had trained herself enough to master a sword. Rachael looked for work and eventually she stumbled upon a mercenary gang. Upon joining, her first task was to kill a family whom at the time she did not know was just an innocent family. For a year she did work for them until she found out that the people she was killing were really innocent. This made her extremely angry. As soon as she got the opportunity she killed the mercenary leader, thus disbanding the group. A couple of years passed to when she became 18. In these two years she would help people from each area she visited. She would do work as trivial as buying groceries for others to as important as escorting people to locations that are extremely dangerous. Eventually she decided to look for work that would suit her, joining an army or something. Who knows? Description: Allows the user to block an incoming attack with the user’s sword. It then reflects the power back at the opponent, using the attack against them. Description: Allows the user to use her sword in an insane combo. The combo is often complex and hard to predict. Will add more as RP Progresses.